The cemetery is really a place of life. They are hallowed ground where faith and the family bond are celebrated. Don’t be surprised if you spot a small group people with a picnic basket or a casual lady sitting against a monument with her favorite book. Despite the encouragement cemeteries have for you to maintain a bond with the memory of your loved ones, there is a certain code of conduct we should all be aware of when visiting this sacred ground. If you are visiting the cemetery with friends and family, make it a point to mention etiquette and cemetery rules and regulations with those you are travelling with. For some, it may their first time so sharing the knowledge can make the visit more comfortable for everyone involved. If you are visiting the cemetery with children, take some time to discuss where you’re going, why, and they can expect when they get there. If the children are too young to fully understand the concept of visiting a cemetery, make sure to keep a close eye on them and keep them from running, shouting, and playing or climbing on graves and monuments. 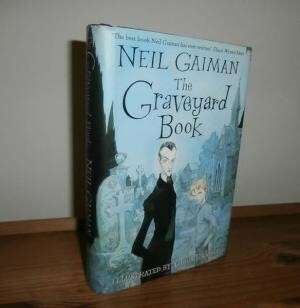 Neil Gaiman’s children’s book “The Graveyard Book” may be a great ice breaker into the discussion of death and cemeteries. 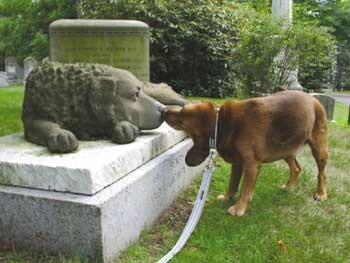 Many people take their pets to visit loved ones while others enjoy the solemn walk through a cemetery. Either way, leash your pets. Before you bring your pet along, check to make sure it’s not against the rules, and keep them on a leash at all times. More importantly, bring your pooper-scooper or whatever method you prefer to clean up after your pet. Last week, I visited the infants sections at my local cemetery (heartbreaking in itself) and found multiple areas in which dog owners failed to clean up after their dogs. Don’t be that person I had not-so-nice thoughts about in my head. 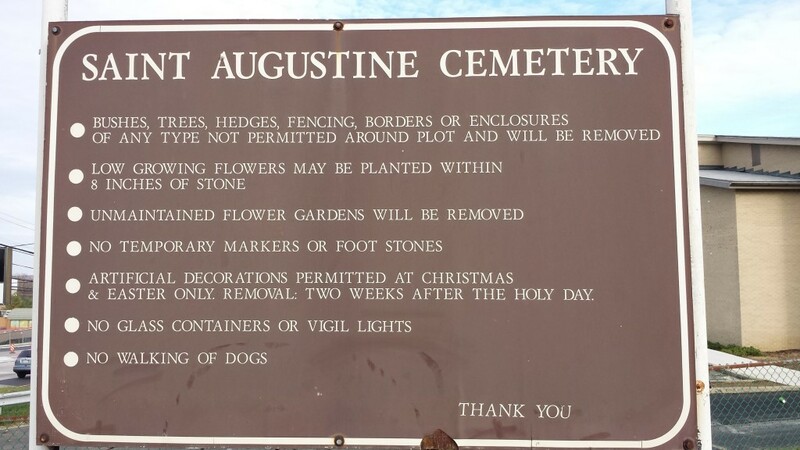 Most cemeteries have a sign posted near the entrance listing rules specific to the property. That sign does you no good if you’re there at 5:00pm with a shepherd’s hook and hanging plant in tow and a large sign tells you visiting hours ended at 4:00pm and a shepherd’s hook is listed in bold print with a variety of other prohibited items. Most cemeteries have websites where their rules are listed along with visiting hours. Some of the more advanced sites let you search your loved one and will provide their location information with a map of the cemetery. If your family cemetery does not offer much information on their website or if they do not have one at all, call the cemetery and ask about visiting rules and regulations. The information desks can also provide you with location information. Make sure to follow the roadways and remain off the grass. Drive slowly, and watch out for people who might not be paying attention. If the lane is narrow and another car approaches, offer to move your car until the other driver can get through. This is not the place for road rage and you will find that many parking jobs aren’t exactly courteous so try to remain calm while waiting for someone to move or adjust their vehicle. 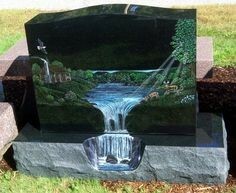 As tempting as it may be to rest your hand on a unique tombstone or rub on an engraving that is unbelievably intriguing; touching monuments or headstones is extremely disrespectful and in some cases, may cause damage. Never remove anything from a gravestone even if it’s an arrangement of flowers that has dried up and wilted weeks before you even got there. 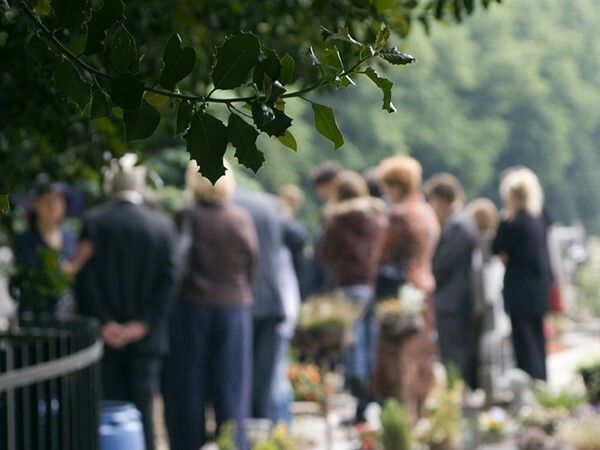 If a funeral is occurring, take care not to get in the way of processions. Respect their privacy and give them their space. Make sure your cell phone ringer is turned down and make an effort to avoid staring. You may be having a picnic or lunch at your loved ones gravesite or just unwrapping the arrangement you brought with you. Either way, clean up after yourself. Most cemeteries have trashcans every so many feet and are easily accessible so do your part to keep your loved ones’ final resting place in pristine condition. 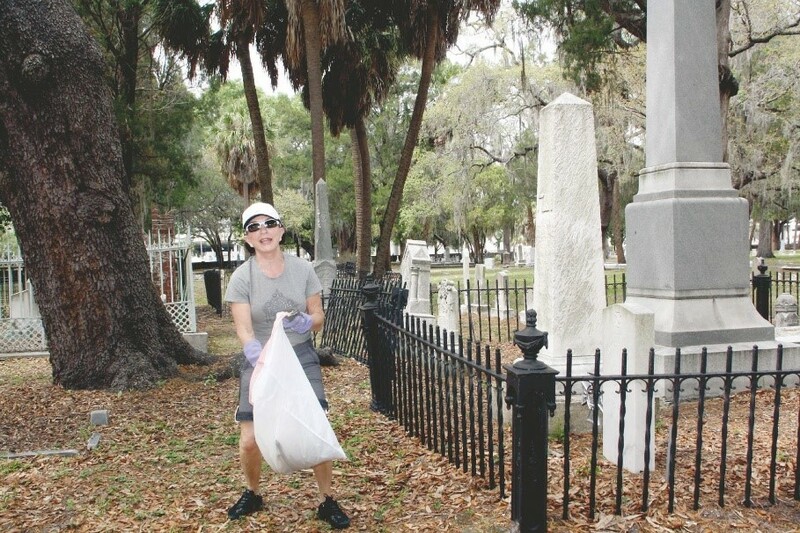 If you just so happen to walk past an empty soda can or cemetery map blowing along the cemetery, it won’t hurt to pick them up and toss them out. 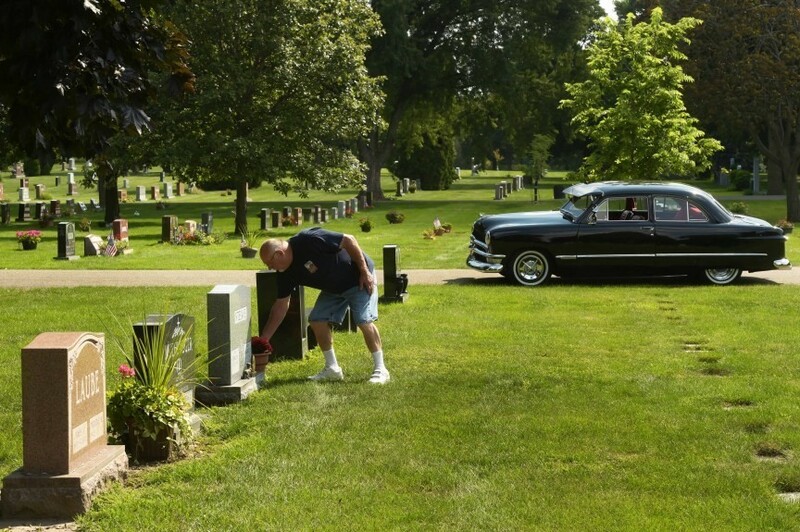 Cemetery groundskeepers can’t be everywhere at once. Cemetery etiquette is simple: Treat the graves as you would the graves of your parents, siblings, friends & acquaintances or as you would like your own to be treated.